Do People Stll Buy This as Omiyage from the Mainland? This used to be a popular omiyage from the mainland. 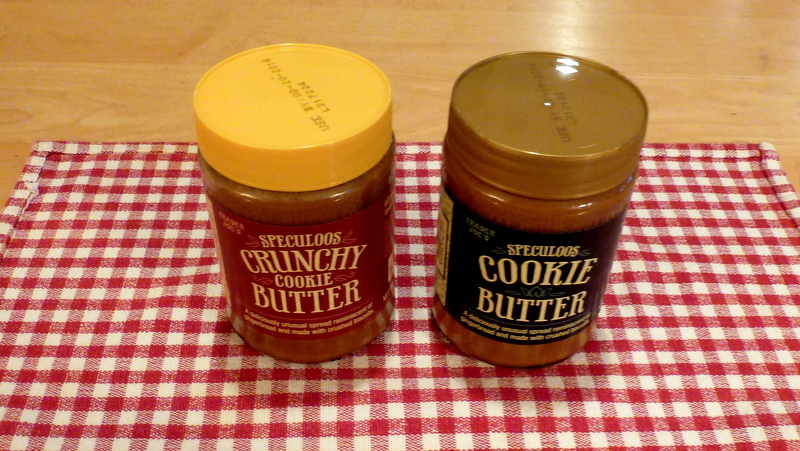 Several years ago, Hawaii people traveling on the Mainland were purchasing and then hoarding jars of Speculoos Cookie Butter. And they were buying them as omiyage from the mainland for their friends and relatives back home in Hawaii. So you ask, what’s omiayge? Omiyage is the Japanese custom of buying small gifts when traveling for your friends and relatives back home. Many people from Hawaii, having been influenced by a lot of things from Japan, have adopted this practice. Do People Still Buy This as Omiyage from the Mainland? So what was cookie butter and where could you have bought it? From what we understand, it’s a certain type of cookie that has been emulsified into a kind of butter. You can use it like a spread on toast. And some say it has the consistency of peanut butter and the taste of gingerbread. Of course, it was and is still sold by you know who, Trader Joe’s. And Trader Joe’s outlets throughout the mainland and particularly in Hawaii’s Ninth Island, Las Vegas, were reporting runs on the product. So much so, store managers would only allow allotments of one or two jars to be sold to a customer. Plus, customers had to personally ask the manager for them because they were not being sold from the shelves. This was apparently being done for safety reasons. Hawaii people were lining up in front of the stores to buy cookie butter. And upon morning openings, they were then making mad dashes to to the aisle where cookie butter jars were displayed. Fast forward to the present and now Cookie Butter no longer has the demand that it once had. So now, they can be sold on store shelves as they were before the craze began. One wonders what the next fad in omiyage from the mainland. The Killer of Omiyage Fads? Fads always come and go. But buying omiyage for beloved friends and relatives back home continues to be a tried and true ritual. Hawaii people used to buy tons of omiyage from the mainland. They bought them at stores like Bath and Body Works, Victoria’s Secret, Krispy Kreme, etc. But this was only until such stores established outlets in the islands. So once this happens, Hawaii people will lose their interests in buying omiyage from such places. This is because there is no incentive to buy something from the mainland that you can easily buy in Hawaii. So this being the case, one wonders if would it be good business for Trader Joe’s to open a store in Hawaii. One local news outlet reported that Trader Joe’s does not have plans to open a store in Hawaii. Understanding the demand for omiyage from people from Hawaii, this might be a good business decision by Trader Joe’s.